For small businesses that are shipping perishable food, making sure orders arrive fresh and ready to enjoy is a top priority. Whatever you sell, packaging and shipping your products so that they arrive in mint condition for your customers is of paramount importance. At a time when the unboxing experience is becoming central for online retailers — and for brick-and-mortar locations with ecommerce operations on the side — it’s vital that businesses get the delivery process right. For those who sell perishable foods online, however, properly packaging and shipping goodies can be especially challenging. Whether you’re sending an arrangement of tropical fruits for a special occasion, frozen gourmet meals, or easily melted chocolate products, making sure that everything arrives fresh and ready-to-eat couldn’t be more important. To get your process down pat, check out Paper Mart’s tips for packaging and shipping perishables in the age of ecommerce. 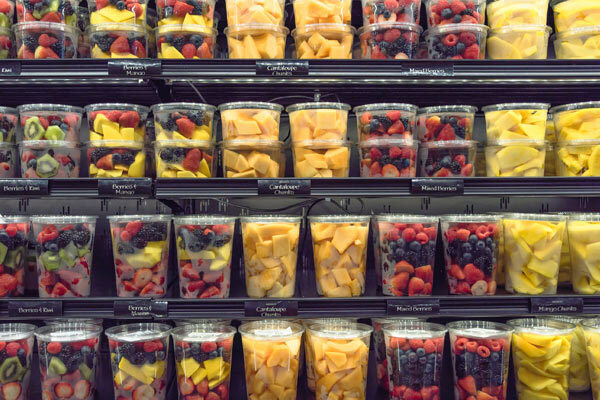 Perishable food items have a limited lifespan, so small business owners have to think ahead. When speaking with customers, for example, make sure you’re clear about how long it will take for items to reach their destination with different delivery options, as well as how long the food will remain fresh after arrival. Additionally, it’s best to ship perishables out at the beginning of the week rather than right before the weekend. By doing so, you can avoid storing sensitive food in a warehouse or distribution center until the business week starts again on Monday. The packaging that you use for your products should be tailored to preserve the specific items you are shipping. While corrugated boxes lined with cushioning products are going to be a mainstay, consider what else you’ll need to accommodate perishables. For example, if a customer’s order includes multiple smaller items, wrap each individually with food liners or single-use PET food containers to keep them safe and sound. Likewise, you may want to add pieces of cardboard as dividers within the box to separate products. Items that are at the greatest risk of melting or spoiling probably need a cooling agent, too. Consider how long shipping perishable food will take to reach its destination, and include an appropriate number of ice packs for the journey. For small business owners operating in the ecommerce space, differentiating your business from other online retailers is key. After all, today’s customers have an unprecedented range of options to choose from, so it’s up to you to convey what makes your products and shopping experience unique. By investing in eye-catching custom packaging, for example, you can create an unboxing experience that customers will come back for time and time again. And with custom labels, you’ll be putting your branding front and center, especially if your shipment contains multiple smaller items that can be labeled individually. You can also opt for custom boxes that put your company’s brand aesthetic front and center. While you want to communicate regularly with customers no matter what you sell, it’s especially important when it comes to shipping perishable food. If possible, make it clear to patrons that opting for a faster delivery option will make it more likely that their food arrives in ideal condition. Additionally, remember that cooling agents such as dry ice — while essential for preserving the most perishable items — add weight and extra fees to any shipment. Only enclose what’s necessary to deliver your items fresh and ready for consumption.